1. Johnson B–V = 1.423 (derived from Tycho-2); J–K = 0.756 (2MASS). Proper motion: pmRA = 14.1 mas/yr, pmDE = –1.2 mas/yr (Roeser et al. 2010). ROSAT: 1RXS-F J001507.4–032010, HR1 = 0.78, HR2 = 0.07. 2. Johnson B–V = 1.050 (derived from Tycho-2); J–K = 0.671 (2MASS). Proper motion: pmRA = 7.7 mas/yr, pmDE = 4.0 mas/yr (Roeser et al. 2010). ROSAT: 1RXS-F J003408.1–510305, HR1 = –0.08, HR2 = 0.24. 3. 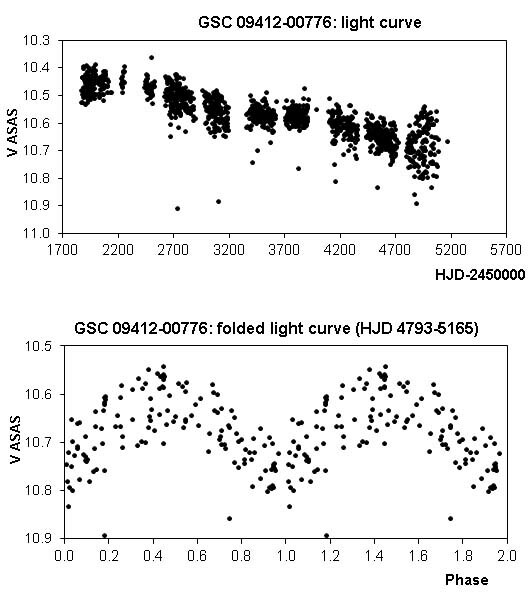 Johnson B–V = 1.076 (derived from Tycho-2); J–K = 0.762 (2MASS). Proper motion: pmRA = 14.9 mas/yr, pmDE = –1.7 mas/yr (Roeser et al. 2010). ROSAT: 1RXS J021944.9–102549, HR1 = 0.51, HR2 = 0.30. Spectral type: K0e (White et al. 2007). 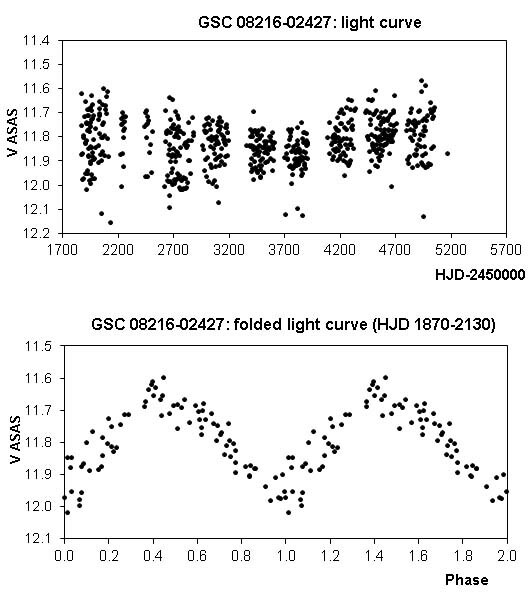 Spectroscopic binary; period = 8.1194 d, (Pourbaix et al. 2004). 4. J–K = 0.834 (2MASS). Proper motion: pmRA = 3.2 mas/yr, pmDE = –2.2 mas/yr (Roeser et al. 2010). ROSAT: 1RXS J025111.7–475314, HR1 = 0.41, HR2 = 0.11. 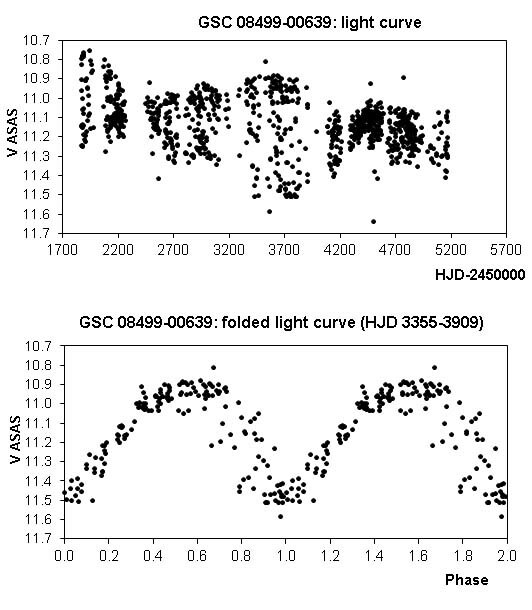 Spectral type: K5 (Riaz et al. 2006). 5. Johnson B–V = 1.076 (derived from Tycho-2); J–K = 0.781 (2MASS). Proper motion: pmRA = 77.1 mas/yr, pmDE = 70.2 mas/yr (Roeser et al. 2010). ROSAT: 1RXS J032738.6–580937, HR1 = 0.78, HR2 = 0.68. 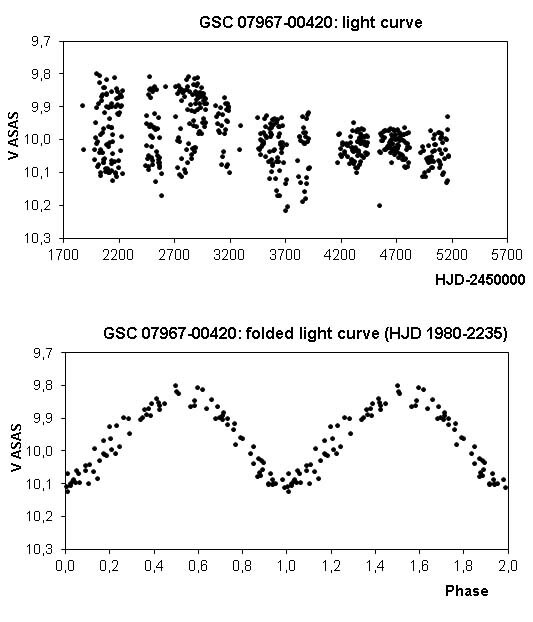 Spectral type: K2IVe, EW(Li) = 110 (Torres et al. 2006). 6. J–K = 0.777 (2MASS). Proper motion: pmRA = 0.7 mas/yr, pmDE = 1.9 mas/yr (Roeser et al. 2010). ROSAT: 1RXS-F J033411.6–414307, HR1 = 0.90, HR2 = 0.34. 7. Johnson B–V = 1.184 (derived from Tycho-2); J–K = 0.783 (2MASS). Proper motion: pmRA = 10.2 mas/yr, pmDE = –25.3 mas/yr (Roeser et al. 2010). Spectral type: K0 (White et al. 2007). 8. J–K = 0.790 (2MASS). Proper motion: pmRA = 0.3 mas/yr, pmDE = –15.0 mas/yr (Roeser et al. 2010). ROSAT: 1RXS-F J040038.5–601338, HR1 = 1.00, HR2 = 0.19. 9. Johnson B–V = 1.207 (derived from Tycho-2); J–K = 0.705 (2MASS). Proper motion: pmRA = –0.8 mas/yr, pmDE = –3.8 mas/yr (Roeser et al. 2010). 10. J–K = 0.850 (2MASS). Proper motion: pmRA = –4.0 mas/yr, pmDE = –0.5 mas/yr (Roeser et al. 2010). 11. Johnson B–V = 0.660 (derived from Tycho-2); J–K = 0.807 (2MASS). Proper motion: pmRA = 14.2 mas/yr, pmDE = 5.2 mas/yr (Roeser et al. 2010). ROSAT: 1RXS J063656.7–052104, HR1 = 0.80, HR2 = 0.35. 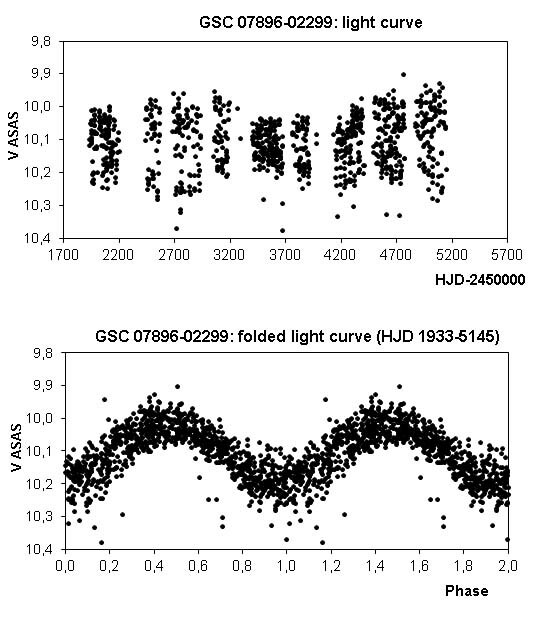 Spectral type: K7 (Riaz et al. 2006). 12. J–K = 0.864 (2MASS). Proper motion: pmRA = –1.7 mas/yr, pmDE = –1.3 mas/yr (Roeser et al. 2010). ROSAT: 1RXS-F J071748.9–335658, HR1 = 0.22, HR2 = 0.97. 13. Johnson B–V = 0.960 (derived from Tycho-2); J–K = 0.766 (2MASS). Proper motion: pmRA = –20.5 mas/yr, pmDE = –0.7 mas/yr (Roeser et al. 2010). ROSAT: 1RXS-F J073642.3+035433, HR1 = 0.67, HR2 = 0.01. 14. Johnson B–V = 1.061 (derived from Tycho-2); J–K = 0.675 (2MASS). Proper motion: pmRA = 5.7 mas/yr, pmDE = –13.8 mas/yr (Roeser et al. 2010). 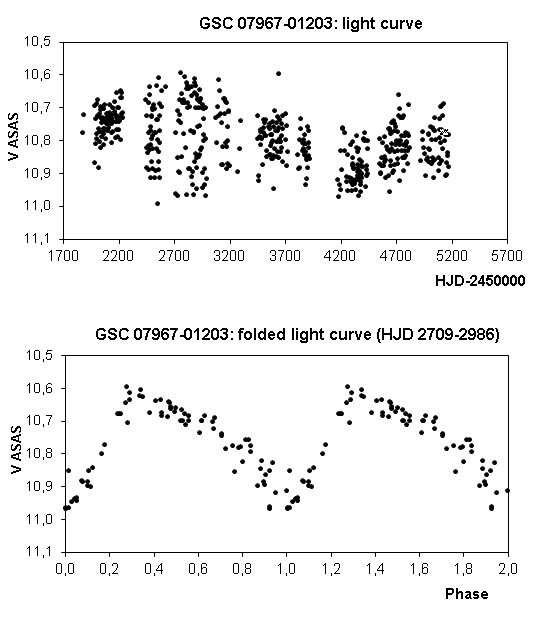 ROSAT: 1RXS-F J074517.5+202332, HR1 = 0.28, HR2 = 0.07. 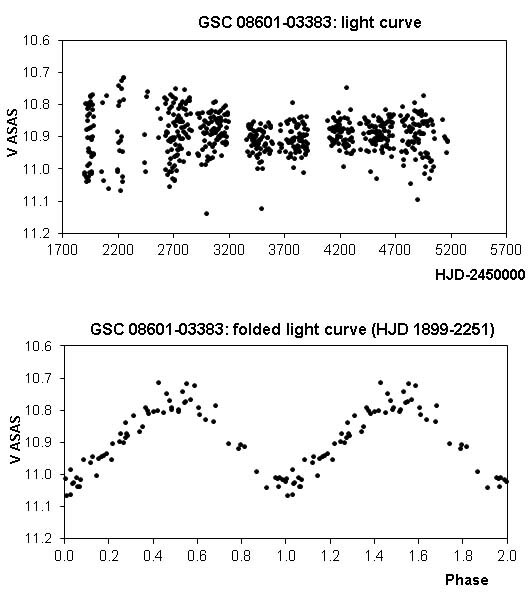 Spectral type: G5 (Wright et al. 2003). 15. Johnson B–V = 0.727 (derived from Tycho-2); J–K = 0.662 (2MASS). Proper motion: pmRA = –5.1 mas/yr, pmDE = 1.3 mas/yr (Roeser et al. 2010). 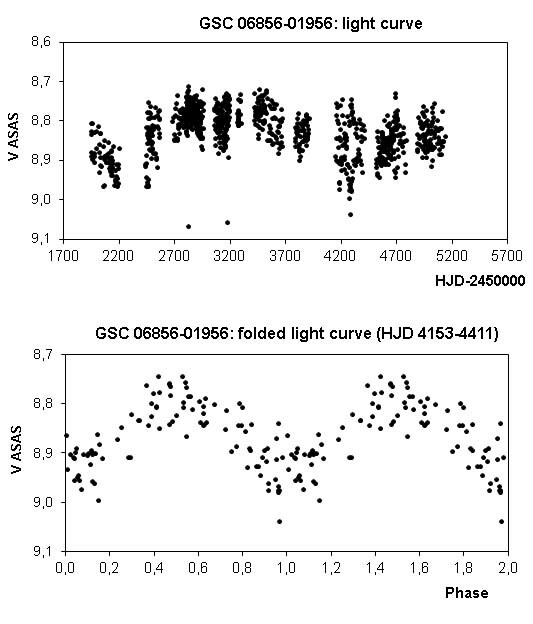 ROSAT: 1RXS-F J103533.0–535225, HR1 = 0.79, HR2 = 0.08. 16. J–K = 0.946 (2MASS). Proper motion: pmRA = –50,2 mas/yr, pmDE = –0,2 mas/yr (Roeser et al. 2010). ROSAT: 1RXS-F J112105.2–384529, HR1 = –0.03, HR2 = –0.17. 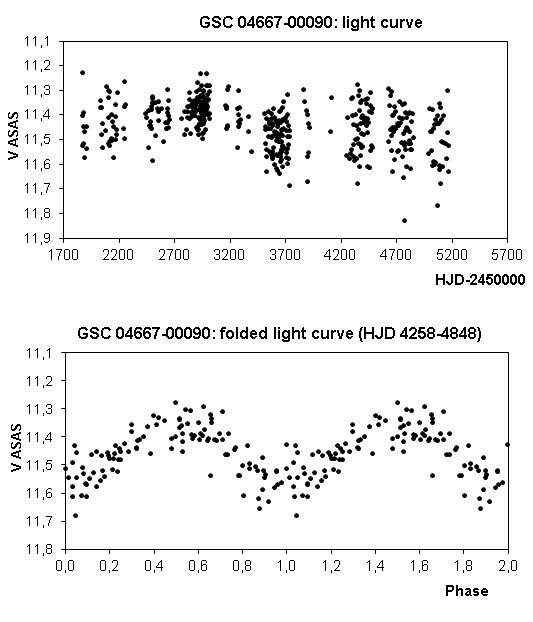 Spectral type: M1Ve, EW(Li) = 550 (Torres et al. 2006). 17. Johnson B–V = 0.992 (derived from Tycho-2); J–K = 0.733 (2MASS). Proper motion: pmRA = –9.6 mas/yr, pmDE = 0.7 mas/yr (Roeser et al. 2010). 18. J–K = 0.837 (2MASS). Proper motion: pmRA = –35.8 mas/yr, pmDE = –15.4 mas/yr (Roeser et al. 2010). 19. Johnson B–V = 1.020 (derived from Tycho-2); J–K = 0.689 (2MASS). Proper motion: pmRA = –204.8 mas/yr, pmDE = 46.2 mas/yr (Roeser et al. 2010). ROSAT: 1RXS J122447.4–750309, HR1 = –0.09, HR2 = –0.12. 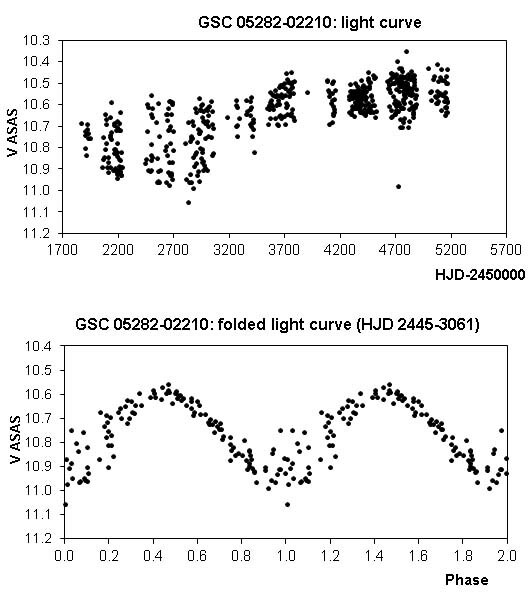 Spectral type: K3Ve, EW(Li) = 0, remark: SB2 (Torres et al. 2006). 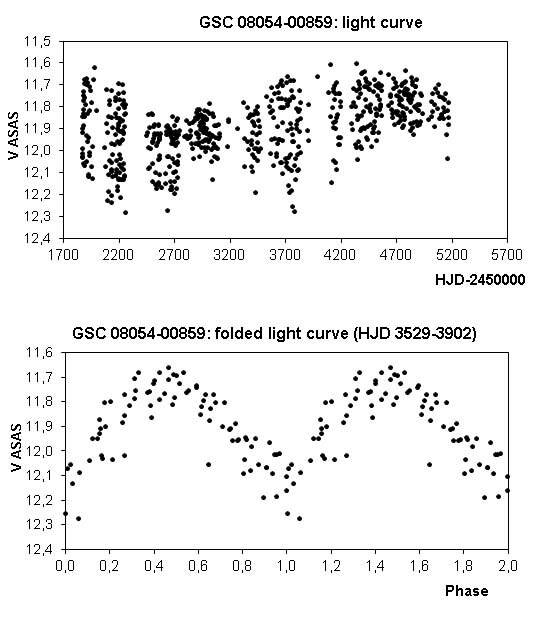 Period = 0.8899 d (Koen et al. 2002). 20. Johnson B–V = 1.044 (derived from Tycho-2); J–K = 0.72 (2MASS). Proper motion: pmRA = –15.1 mas/yr, pmDE = –36.2 mas/yr (Roeser et al. 2010). 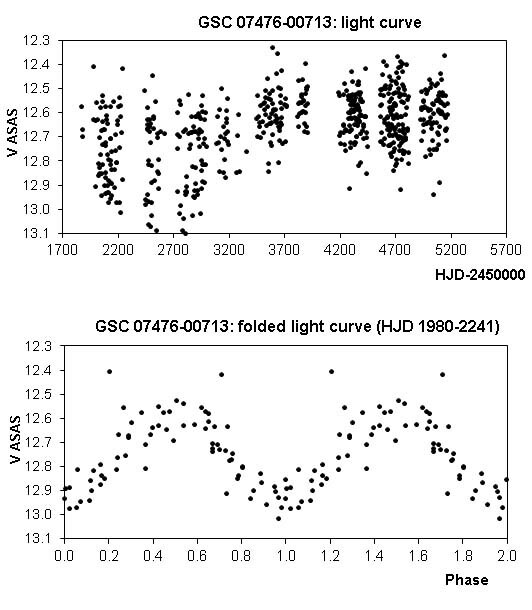 ROSAT: 1WGA J1235.9+1329 (White et al. 2000). 21. Johnson B–V = 1.421 (derived from Tycho-2); J–K = 0.830 (2MASS). Proper motion: pmRA = –1.9 mas/yr, pmDE = –3.9 mas/yr (Roeser et al. 2010). ROSAT: 1RXS J173603.8–471016, HR1 = 0.51, HR2 = 0.08. Spectral type: K1IIIe, EW(Li) = 0, SB3? (Torres et al. 2006). 22. Johnson B–V = 0.995 (derived from Tycho-2); J–K = 0.775 (2MASS). Proper motion: pmRA = 1.8 mas/yr, pmDE = –2.0 mas/yr (Roeser et al. 2010). 23. Johnson B–V = 0.933 (derived from Tycho-2); J–K = 0.745 (2MASS). Proper motion: pmRA = –60.3 mas/yr, pmDE = –52.4 mas/yr (Roeser et al. 2010). ROSAT: 1RXS J174625.4+035852, HR1 = 1.00, HR2 = 0.22. 24. Johnson B–V = 0.675 (derived from Tycho-2); J–K = 0.473 (2MASS). 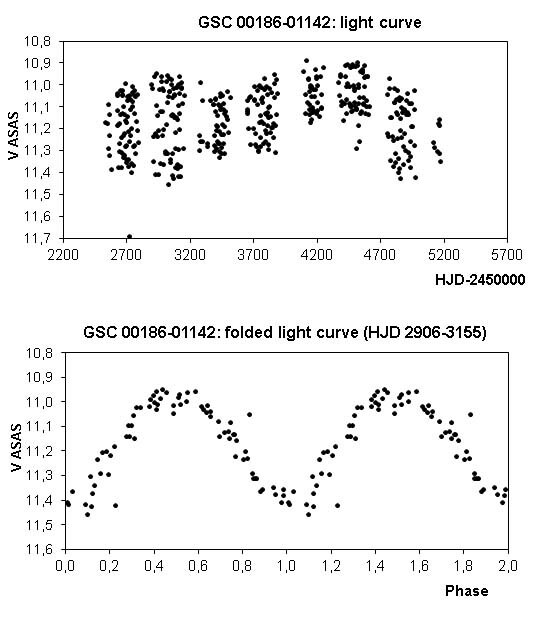 Trigonometric parallax: 13.25 +/– 1.41 milliarcseconds (Hipparcos Catalog). 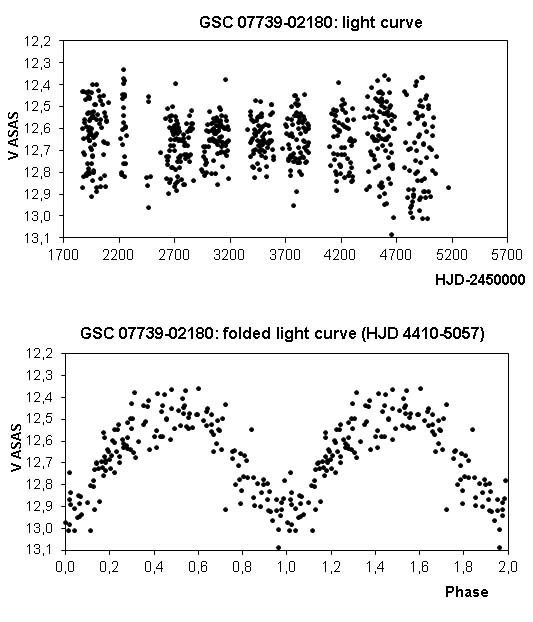 Distance: 75.5 +/– 8.0 parsecs (246 +/– 26 light years). 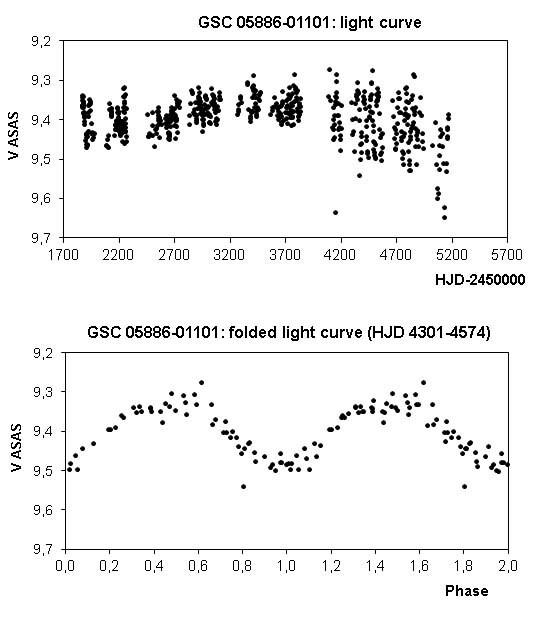 Luminosity: 1.54 +/– 0.33 times that of the Sun. Absolute magnitude: 4.33 +/– 0.23. Proper motion: pmRA = 3.1 mas/yr, pmDE = –46.8 mas/yr (Roeser et al. 2010). ROSAT: 1RXS J181952.6–291623, HR1 = 0.06 , HR2 = 0.21. 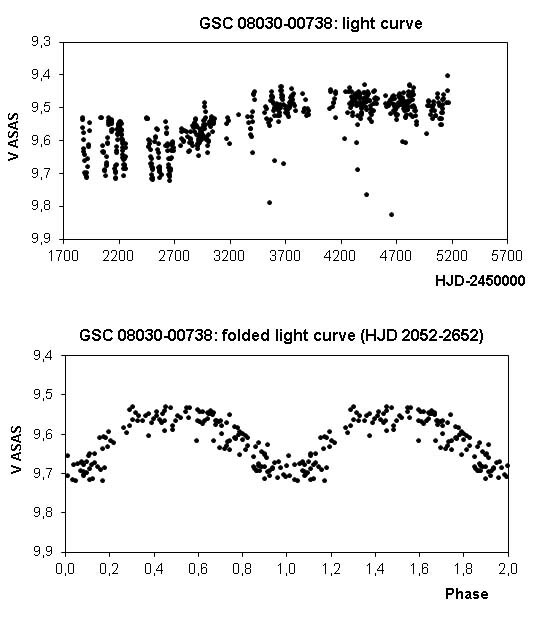 Spectral type: G5V, EW(Li) = 290 (Torres et al. 2006). 25. 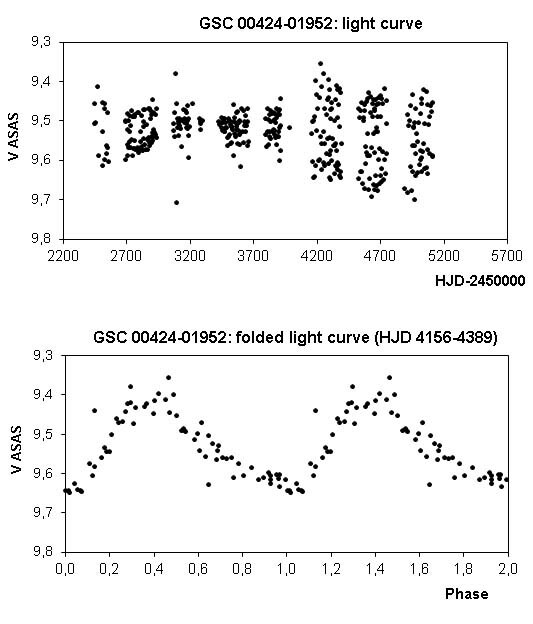 Johnson B–V = 1.389 (derived from Tycho-2); J–K = 0.929 (2MASS). Proper motion: pmRA = 15.6 mas/yr, pmDE = –20.6 mas/yr (Roeser et al. 2010). ROSAT: 1RXS J183219.2+021456, HR1 = 0.81, HR2 = 0.25. 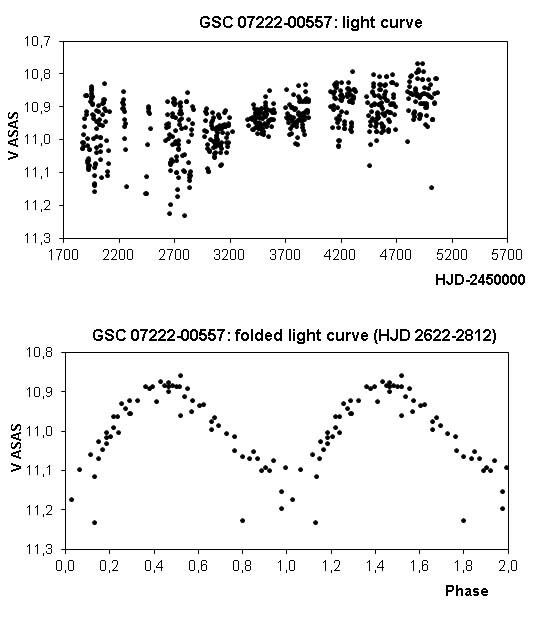 Spectral type: K2IIIe, EW(Li) = 180 (Torres et al. 2006). 26. Johnson B–V = 1.227 (derived from Tycho-2); J–K = 0.784 (2MASS). Proper motion: pmRA = 37.6 mas/yr, pmDE = –16.0 mas/yr (Roeser et al. 2010). 27. Johnson B–V = 0.942 (derived from Tycho-2); J–K = 0.735 (2MASS). Proper motion: pmRA = 1.9 mas/yr, pmDE = –1.2 mas/yr (Roeser et al. 2010). ROSAT: 1RXS J204535.3–394939, HR1 = 0.17, HR2 = –0.02. 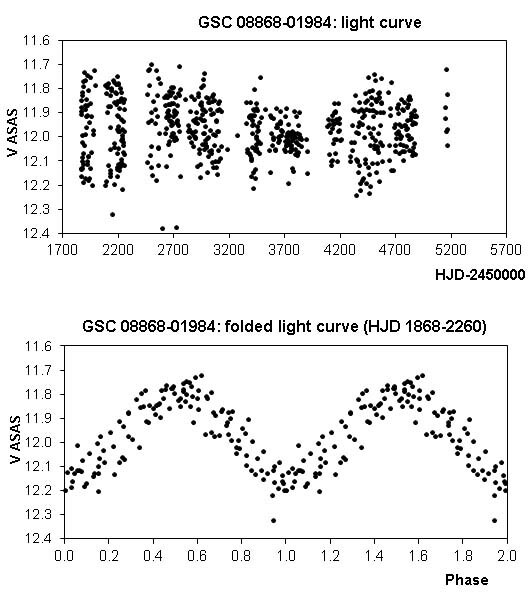 Spectral type: K0III(e), EW(Li) = 80, remark: SB2 (Torres et al. 2006). 28. Johnson B–V = 1.228 (derived from Tycho-2); J–K = 0.772 (2MASS). Proper motion: pmRA = –8.8 mas/yr, pmDE = –21.3 mas/yr (Roeser et al. 2010). 29. J–K = 0.816 (2MASS). Proper motion: pmRA = –25.9 mas/yr, pmDE = –21.3 mas/yr (Roeser et al. 2010). ROSAT: 1RXS-F J211220.3–333622, HR1 = 0.65, HR2 = 1.00. 30. J–K = 0.777 (2MASS). Proper motion: pmRA = 7.9 mas/yr, pmDE = –16.0 mas/yr (Roeser et al. 2010). 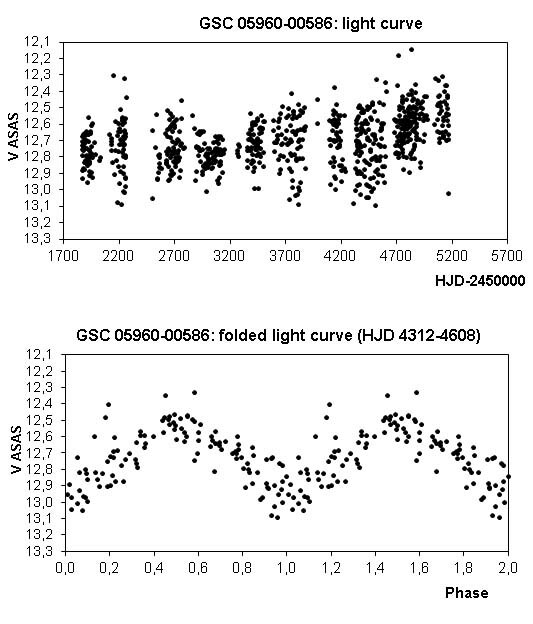 30 new RS CVn and BY Dra variables were found by the investigation of ASAS-3, light curves (Pojmanski 2002). 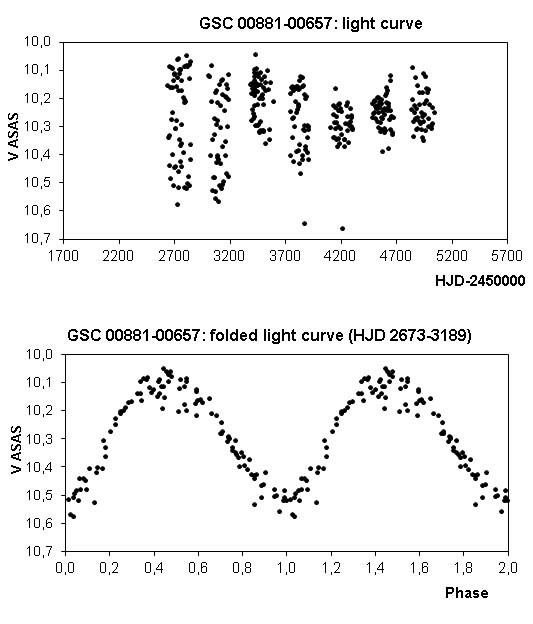 Each object was checked against the Strasbourg CDS Vizier service and the International Variable Star Index for pre-existence as a chromospherically active star in variability catalogues. 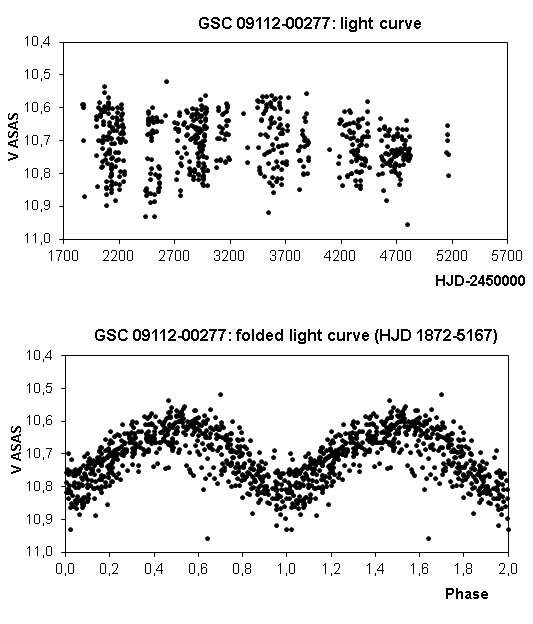 v) further information like the lithium content as indicator of young stellar objects and proper motions. 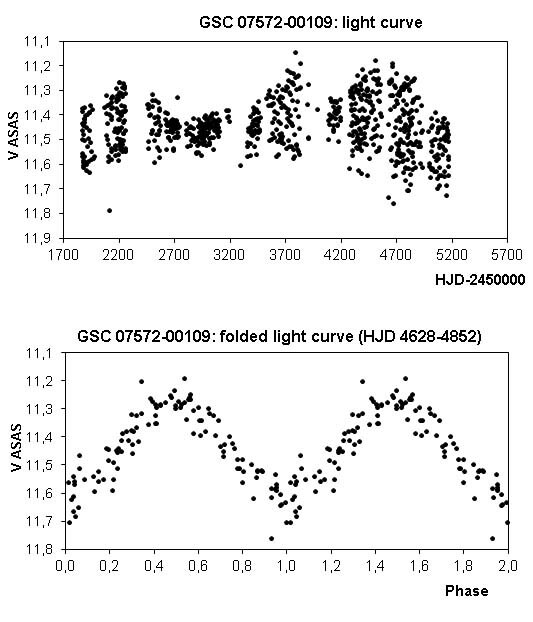 According to the definitions of the GCVS, chromospherically active stars of the BY Dra type are emission line dwarfs (single or binary), which have spectral types K–M. 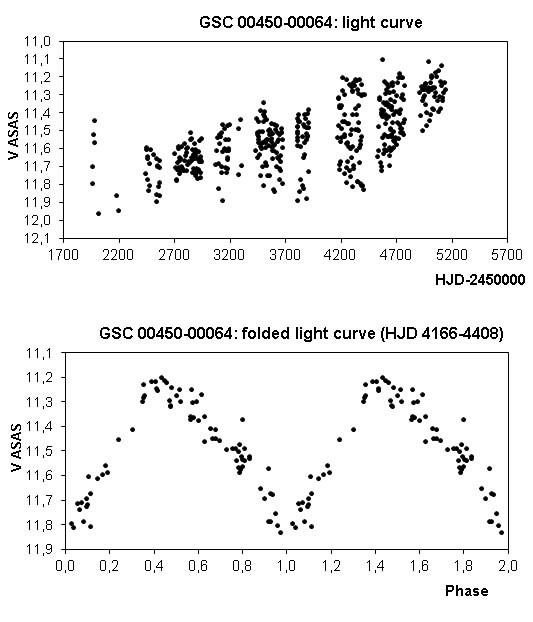 RS CVn variables are chromospherically active binary systems which have spectral types of F–K (many of these systems contain a subgiant or giant component). 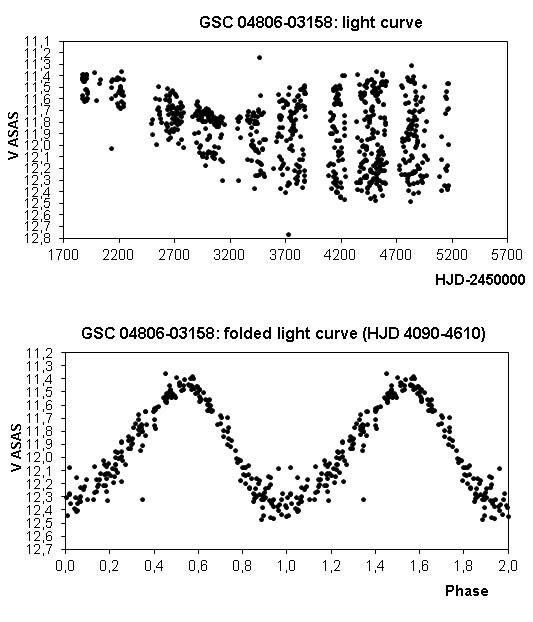 Spectral information and the relation of the maximum amplitude vs. periods of main sequence stars given in Messina et al. 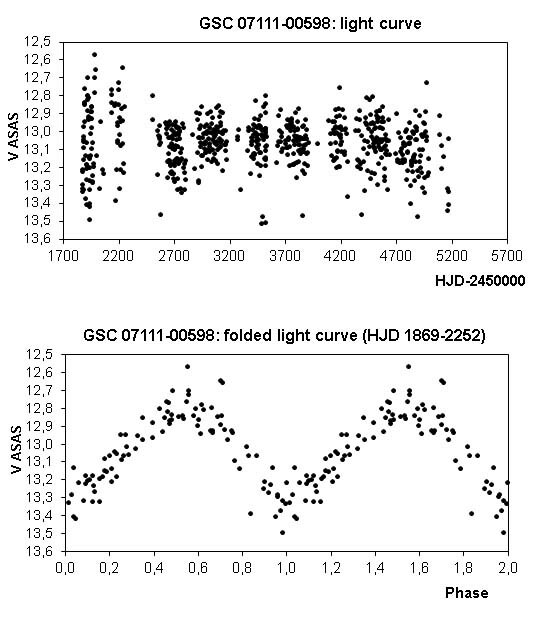 (2003) were used to distinguish between these two types. 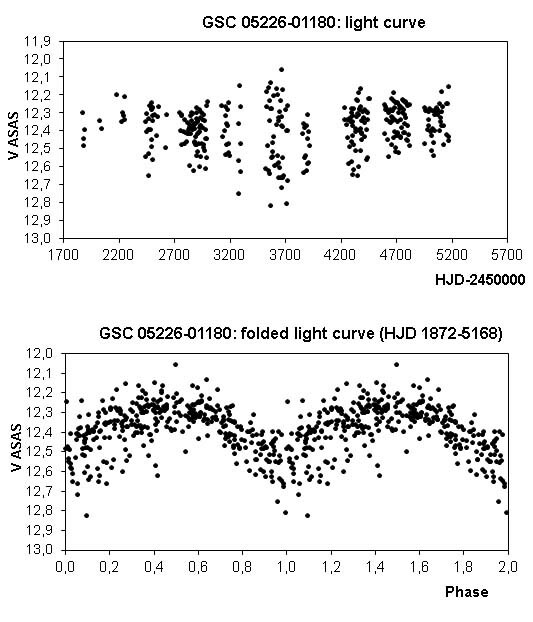 Some of these chromospherically active stars showed a clear variation of the shape of the light curves. 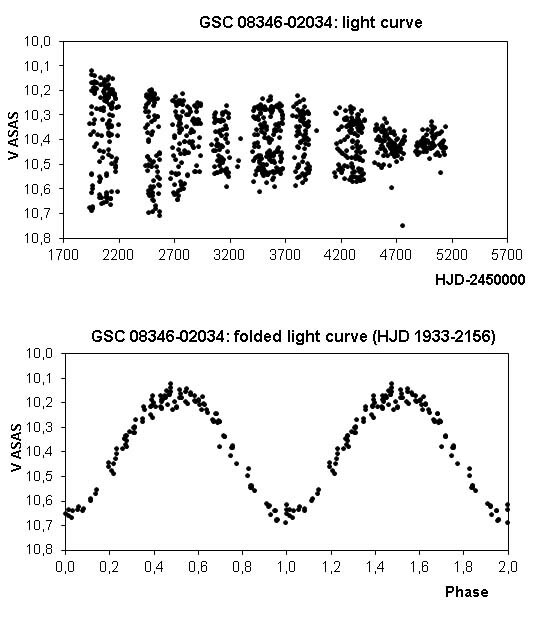 For these objects the ephemeris and the folded light curves are given for a distinct period of time (described in figure as HJD 245....–....). 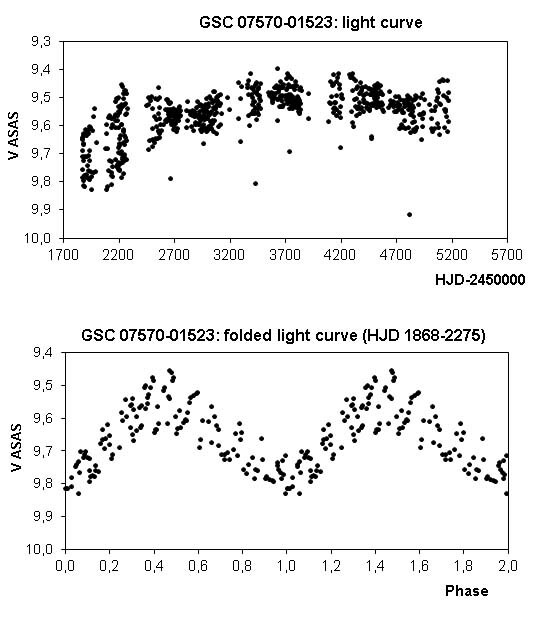 This is somewhat typical of chromospherically active stars which can show secular variation in mean magnitude and/or amplitude as a result of starspot cycles similar in nature to the Suns`s sunspot cycle. 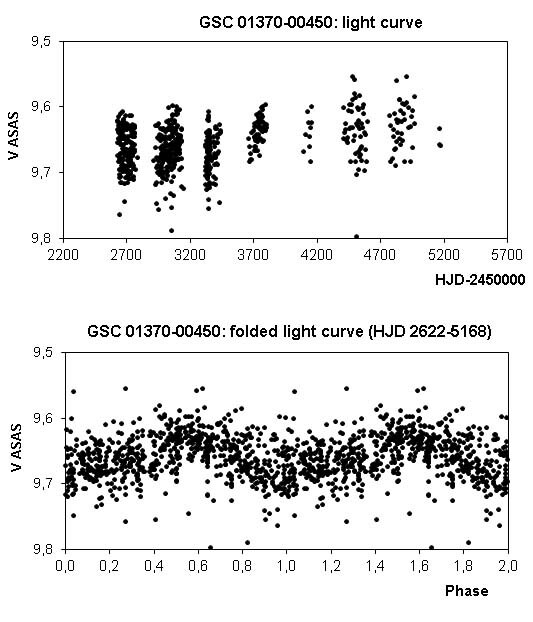 Acknowledgements: This research has made use of the SIMBAD and VizieR databases operated at the Centre de Données Astronomiques (Strasbourg) in France, of the Smithsonian/NASA Astrophysics Data System, of the International Variable Star Index (AAVSO) and of the Two Micron All Sky Survey. It is a pleasure to thank John Greaves, UK for his suggestions and helpful comments.